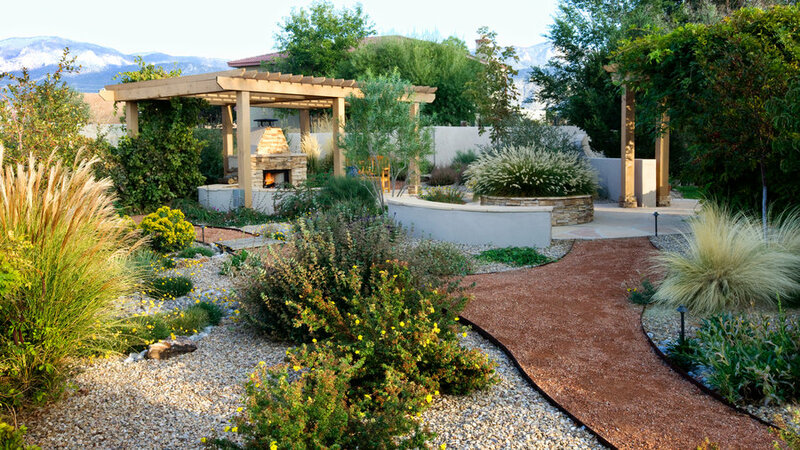 Meandering paths, dry creek beds, and shared materials connect low-water planting areas, a shady patio, and grass-filled "traffic" circle. 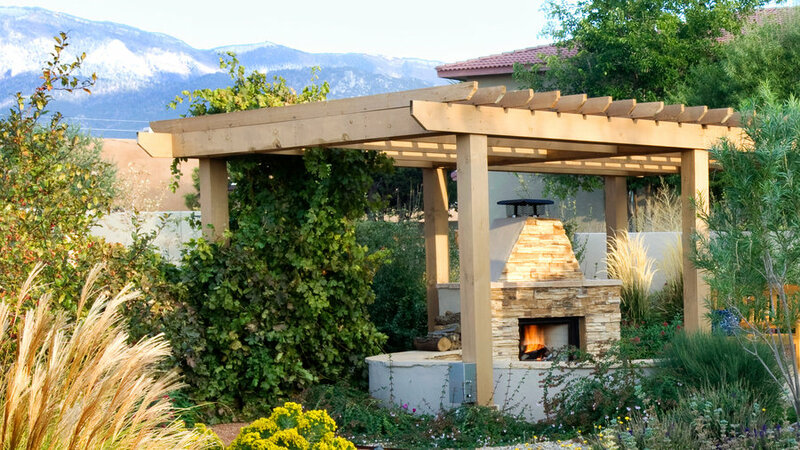 The arbor-shaded patio with banco seating invites guests to the garden’s far reaches. 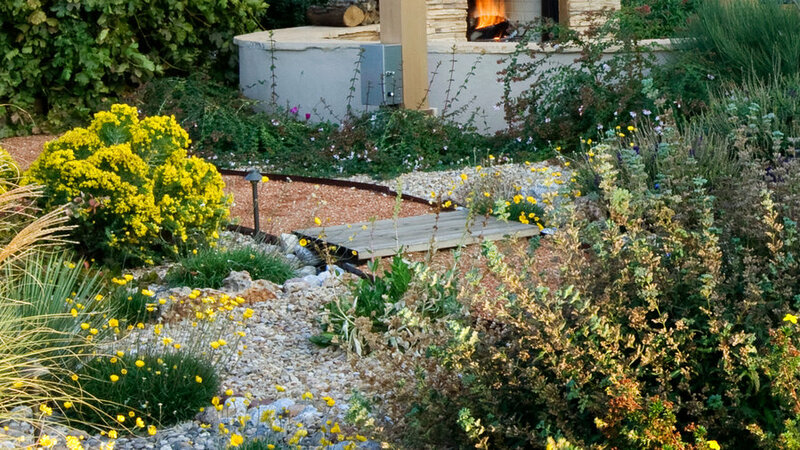 The fireplace is faced with the same cultured stone as the circular planter, visually connecting the two areas. 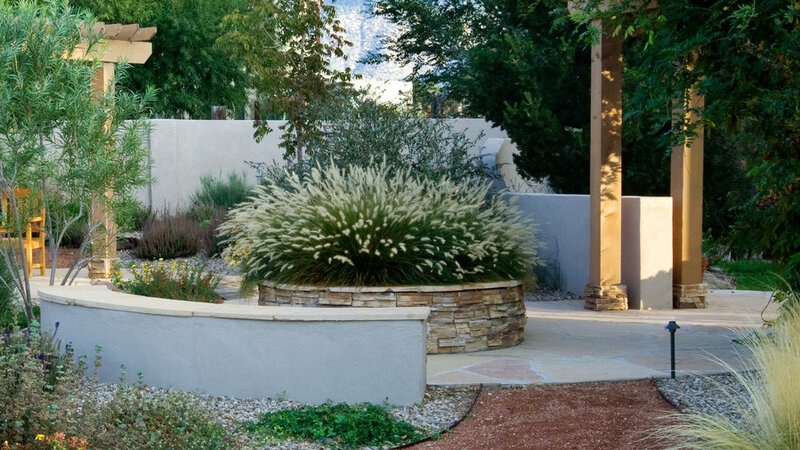 A large round planter, filled with 'Hameln' fountain grass, encourages a circular traffic pattern. It’s built of cement blocks and faced with cultured stone. Small wooden bridges span the path. In summer, the dry creekbed is a river of gold, thanks to the generous daisylike blooms of Perky Sue (Hymenoxys scaposa). 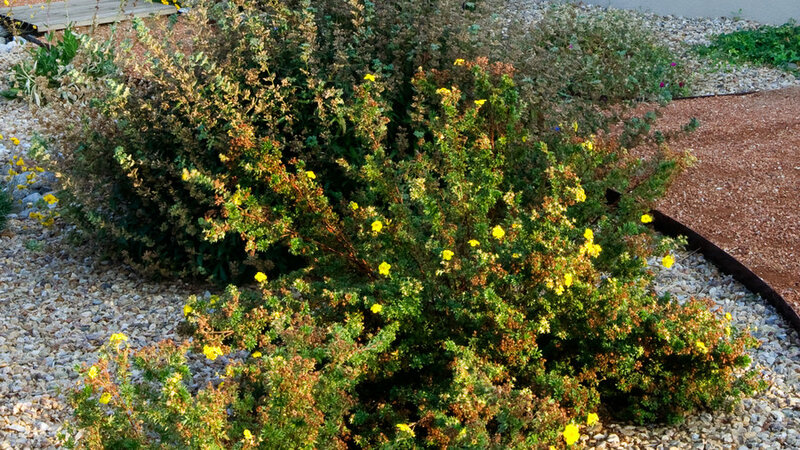 Carefully chosen plants prompt frequent stops along the route during every season. These include tawny grasses; yellow-flowered Perky Sue, potentilla, and turpentine bush; and blue-flowered Caryopteris. 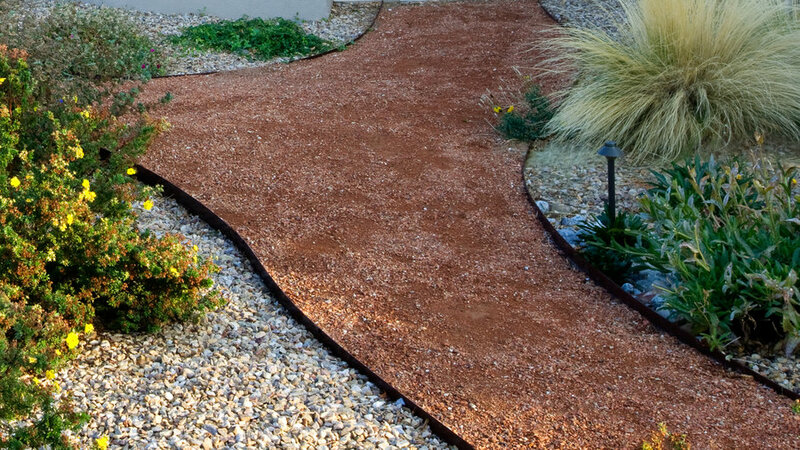 The desert rose color of the fine gravel makes the path stand out from the coarser gray gravel mulch around it, inviting you to follow its lazy course.